AWA's 11th Annual Membership Meeting, hosted at Cradle Valley Farm, was a great success this year! Community members gathered to hear about the AWA's latest initiatives, including our creek monitoring program, which continues to demonstrate the overall health of the Aquetong creek post-dam breech. AWA directors also presented the latest updates for the Aquetong Spring Park project, which is being spearheaded by the Solebury Township. AWA serves as a watch dog for this project and advocates for ecological restoration of the area. 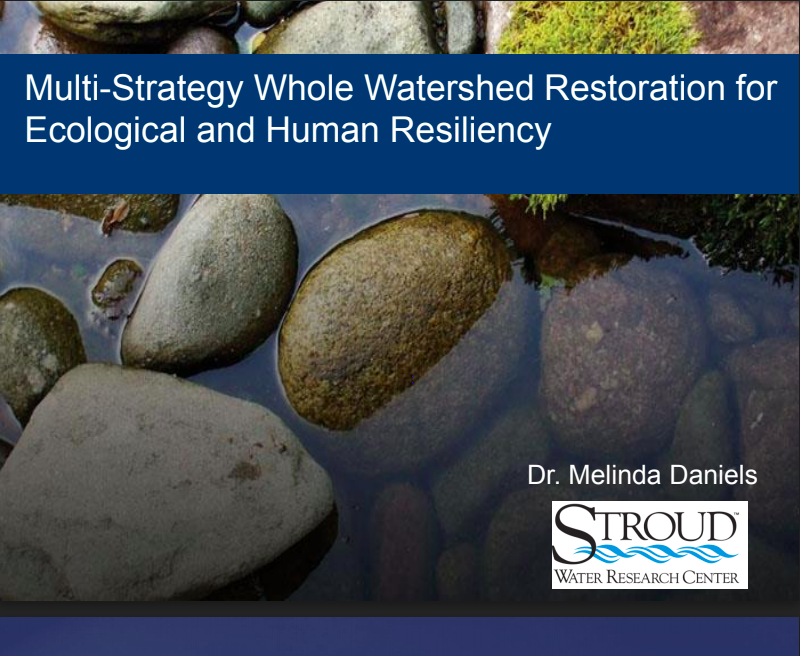 The highlight of the evening was a presentation by Melinda Daniels, PhD., Associate Research Scientist with the Stroud Water Research Center in Avondale, PA.
Dr. Daniels presented a compelling case for why small watersheds like ours are so important and how vital restoration projects like ours are to the overall health of the surrounding communities. If you have not already done so, please renew your membership or become a new member because we could not sustain the association without your support.